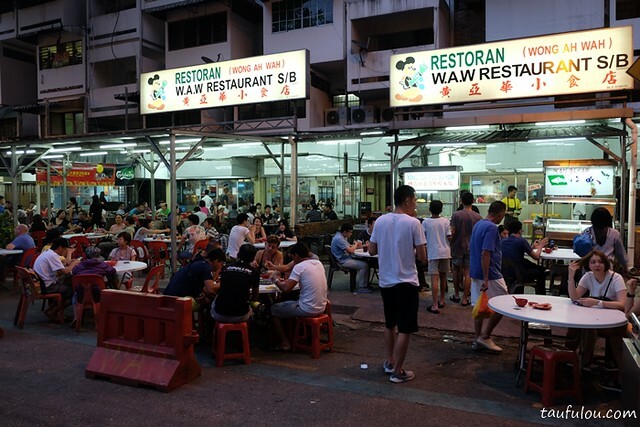 Wong ah Wah (W.A.W) at Jalan Alor is one of the most well known eatery brand in the street where have attracted tons of local and international visitor to their outlet. I still remember when they first stareted, all my friends went crazy over their chicken wings and it was to die for when they have cravings on it. They started operation from one corner shop and till date they have expended to 5 shops side by side in total. Queue here can be very crazy over weekend where international celebrity is also patronizing this shop as one of their must stop eatery place. 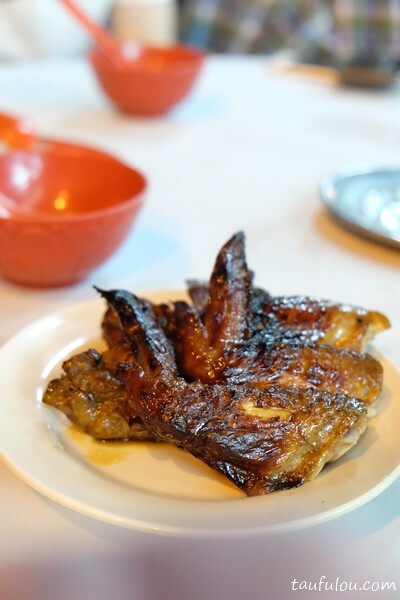 Signature Roast Chicken Wings were their core business where how they started and since then expended to quite a huge seafood menu. 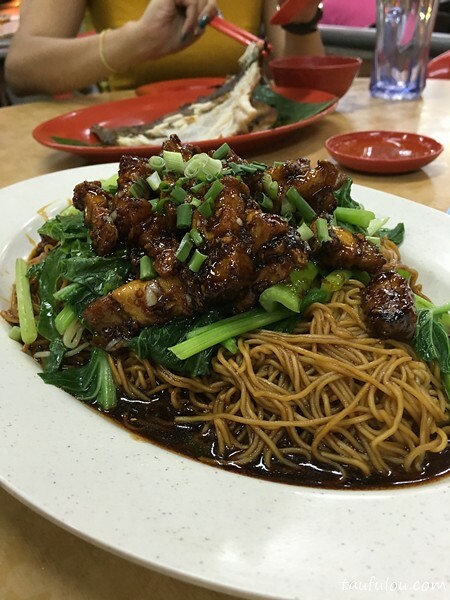 When they first started about 12-15 years ago, no doubt that their chicken wings is one of the best back then as till date, I find that there are better ones than them. 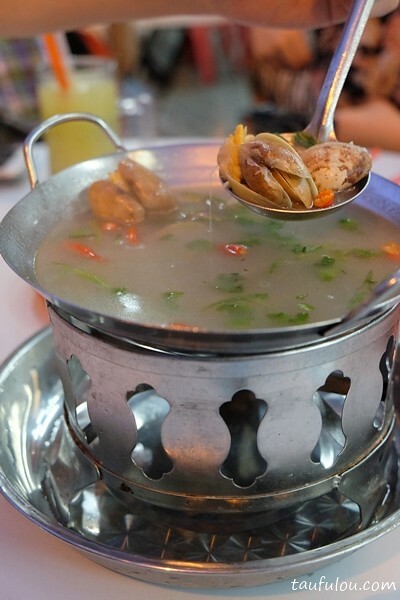 “xiong Tong Lala” @ RM 20 is one of a signature dish that will always order for our international friend. Pack with chinese win, where soup base is pipin hot and well balance in flavour. Slightly salty and sourish end that makes it a great start for the meal. 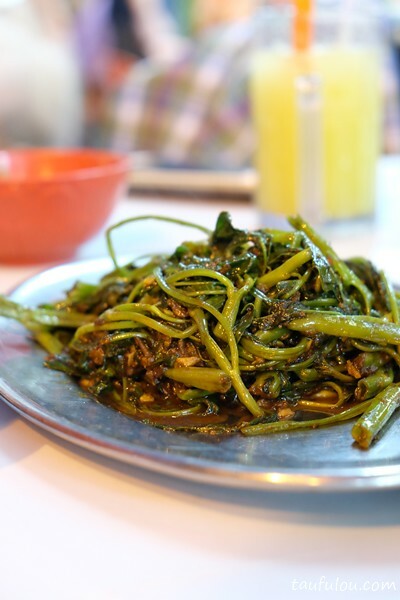 Kang Kung Belacan is one of a local favourite for fried vegetable. 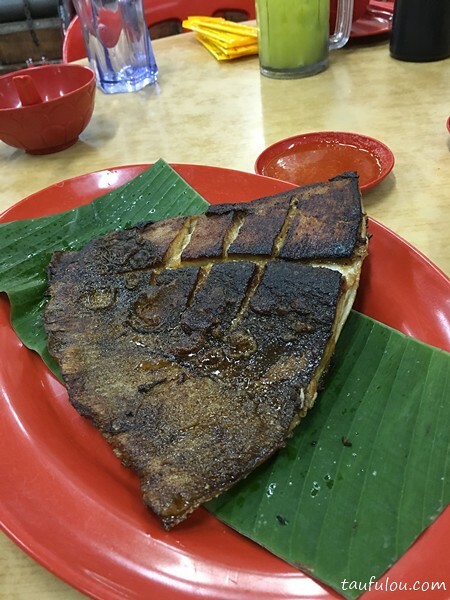 Grill fish is another option where as below is another dish to die for, Roast Pork Dark noodle @ RM 24 which feeds for 4 pax and I must say it is really a huge portion. 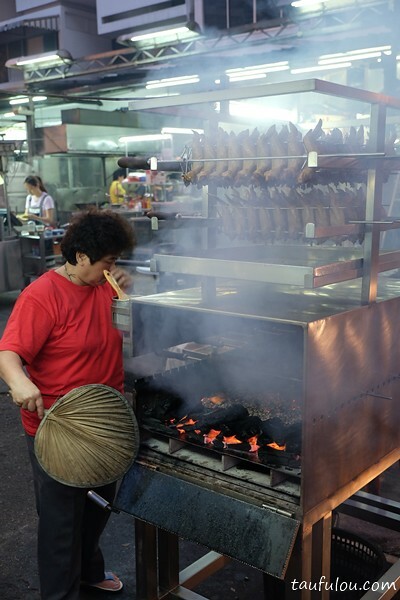 Roast pork is nice and slightly salty end to make it a nice punch as it is suppose to be. 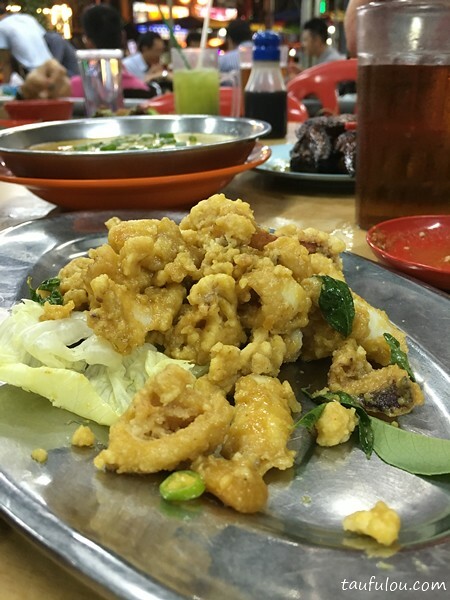 Salted Egg Yolk Squid, is well quoted with salted egg yolk where it is not too salty, quoted with yolk to make it golden yellow and wish that they could fried slightly longer about 3 minutes. 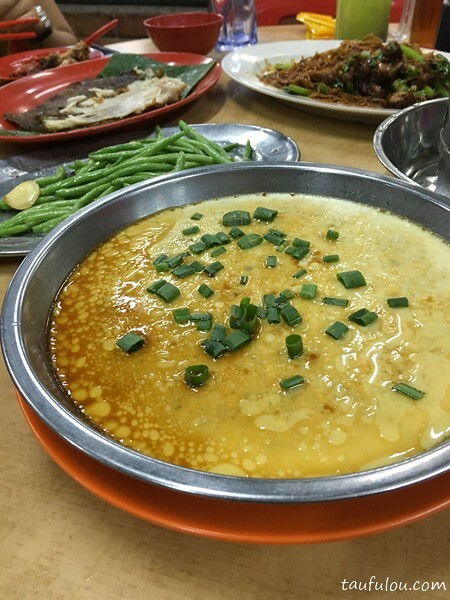 Steam egg to go along with rice. 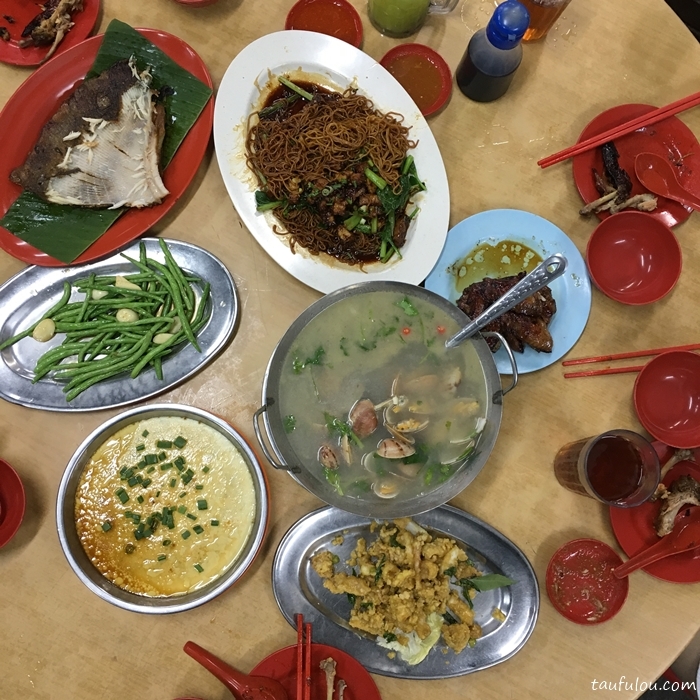 To me there is nothing much to shout out about them as they have become one of a commercialise “tai Chow” at Jalan Alor where also automatically gain its popularity as one of a place must come to eat at Jalan Alor. There are a few outlets are pretty much on par or better.